Brisbane Removalists, we surpass the others with our level of service. Relax and let us do all the work for you. Looking for seamless moving of your valuable possessions? Brisbane Removalists is the trusted name when it comes to safe, timely, and professional home removals in South East QLD. Our trained staff understand that this is big change, and so we are committed to making your big move as worry-free and as successful as possible. The thought of packing all your household items could be daunting. The amount of time and energy that it requires is a bit intimidating. But don’t worry – Brisbane Removalists has got you covered! Our experienced movers know how to wrap just about anything and we will make sure that they will arrive at their destination in the same excellent condition before they were even wrapped. Want to do the packing yourself? No problem! We can help with providing you the packing materials that you could utilise, including boxes, tapes, and markers. We’ll even give you tips on how to wrap certain furniture. Contact us and let’s talk about it! We utilize a moving truck that’s designed for more efficient home or apartment removals. We offer this service at a very cost effective hourly rate and after the minimum 2 hour charge, further time is charged in 15 minute increments only.
. Most importantly, you only pay for the time that you need us, so you can fully control your house removal costs. 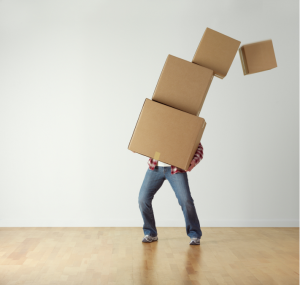 Imagine arriving at your new place and having to see nothing but boxes lying around? Quite unbearable, right? But not with us! Brisbane Removalists makes an extra effort to help you settle in your new place. As your experienced removalists in South East QLD, we know that our job doesn’t end with transporting your packed household items. So, we help you with managing your possessions, like assembling and arranging your furniture according to your floor plan, and re-assembling your appliances. We will help you de-clutter your new home. We will transport your items that do not fit your space to your selected storage facility for short, medium, and long-term. And here’s more! With our valet unpacking solution, we help you unpack your goods into cupboards, where they will not hinder you from going back to your normal routine. Ask us about this service! Our Guarantee at Brisbane Removalists. It’s risky to deal with people you do not know in and out and we understand how you can be doubtful at first. But here is what we guarantee – if anything gets damaged or broken while in our possession during the moving process, Brisbane Removalists will pay for its instant repair or even replace it if necessary! – Ts&Cs can be viewed here. A “no damage” guarantee – Ts & Cs can be viewed here. Trust one name for all your Brisbane removal needs. We serve the areas within South East QLD, including Gold Coast, Sunshine Coast, and Brisbane. Contact us today for efficient home, apartment, or unit removals.